On 7 June 2013, the Republic of Côte d’Ivoire joined the SUN Movement with a letter of commitment from HE Daniel Kablan Duncan, the Prime Minister. At the time, the Ivorian government had developed a National Development Plan (NDP) for 2012-2015, which promoted action on food security. 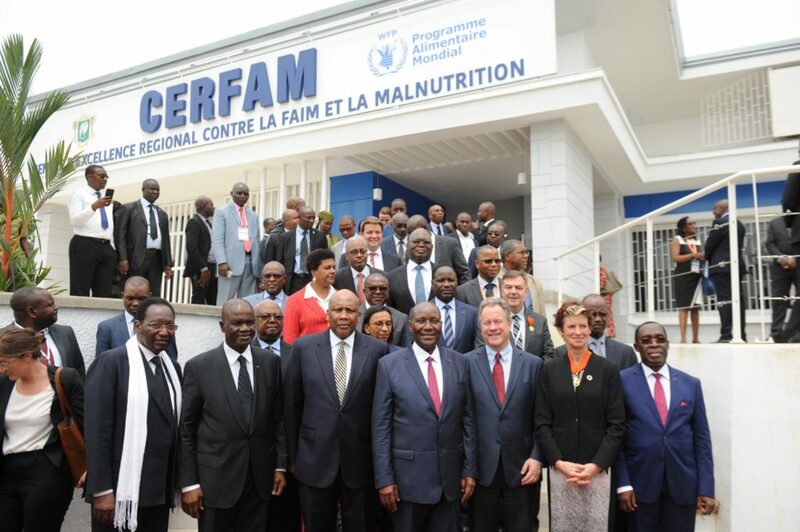 In September 2016, Côte d’Ivoire launched the SUN Movement, establishing the organs of the National Council for Nutrition (including a decision-making committee, a technical committee, a focal point, and a permanent technical secretariat). A declaration of commitment to nutrition was signed by key ministers. The National Council for Nutrition’s and networks meet regularly. Action plans are being made for NutriMedia and the academia network; whilst those for civil society and technical focal points are available. Ministers with responsibility for decentralisation, communication, the environment, and sustainable development are involved. Equity and WASH is being mainstreamed into plans and action through the involvement of relevant national agencies and offices. The decision-making and technical committees of the National Nutrition Council (CNN), coordinated by the prime minister, are functional today. Their action has enabled various strategic documents to be validated and various conflicts of competence to be resolved. The parliamentarians, the private sector, the academic and research environment and civil society now have focal points participating in the CNN. To date, various networks have been created: one for media professionals in December 2015; one for the academic and research environment in April 2016 and one for civil society in June 2016. Regional committees responsible for multisectoral consultation are in the process of being set up under the aegis of the regional prefects. A decision-making committee presided over by the Prime Minister. The committee approves the political and strategic approaches and facilitates the government’s financial involvement. A technical committee or MSP chaired by the Representative of the Prime Minister, SUN government Focal Point, includes several ministries with representatives from all the networks, including the parliament and the communities. Regional committees which will be presided over by regional prefects and those responsible for checking that policy is carried out effectively. Private sector and scientific community networks exist but their capacities need strengthening. The civil society and academia platforms have been launched. 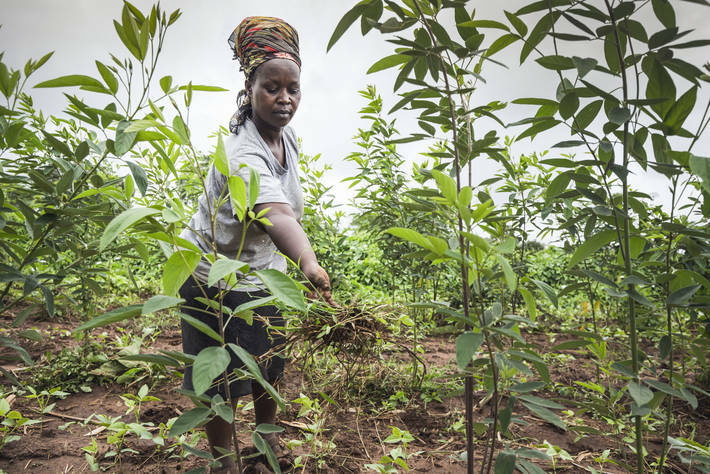 In July 2014, a platform of technical and financial partners for nutrition was established, bringing together the United Nations, donors and international NGOs. 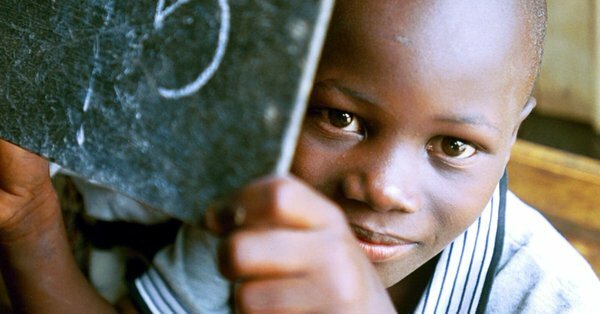 UNICEF and the ADB (African Development Bank) are co-presidents of the technical and financial partners. The CNN has helped to clarify certain misunderstandings, especially regarding food security. A public communication strategy is being produced. The regulatory and legislative framework has been reinforced with the adoption of decrees and laws (on the marketing of breast-milk substitutes and food fortification); others are in the pipeline (on maternity leave, the regulation of the sale of sugary drinks to children around schools). In February 2017, Côte d’Ivoire contributed to the sub-regional policy on nutrition, a West African Health Organization initiative. The regulatory and legislative framework has been strengthened with the inclusion of the 2007 interministerial orders on food enrichment through a decree created in August 2016. There is also the law on maternity leave and the decree on salt iodation. Moreover, in November 2015, a national communication strategy for social and behavioural change in matters of nutrition was created, under the aegis of the Ministry of Public Health and Hygiene. Côte d’Ivoire has updated its 2010 national nutrition policy and has just developed the National Multisectoral Nutrition Plan 2016-2020. 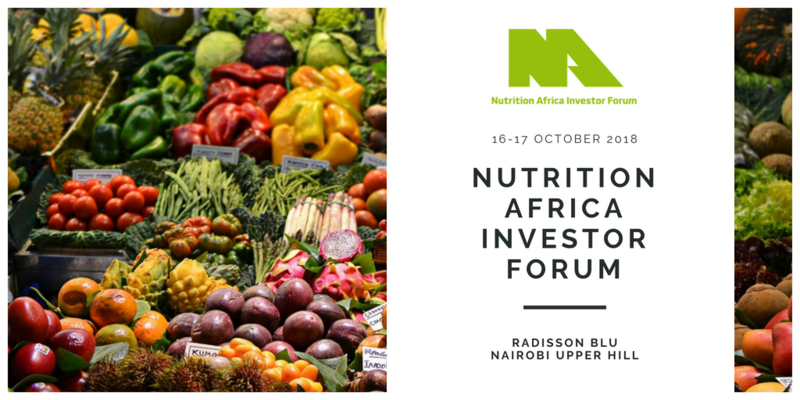 A situational analysis has resulted in a database for reviewing these documents, taking into account nutrition-sensitive interventions within sectoral policies and strategies. 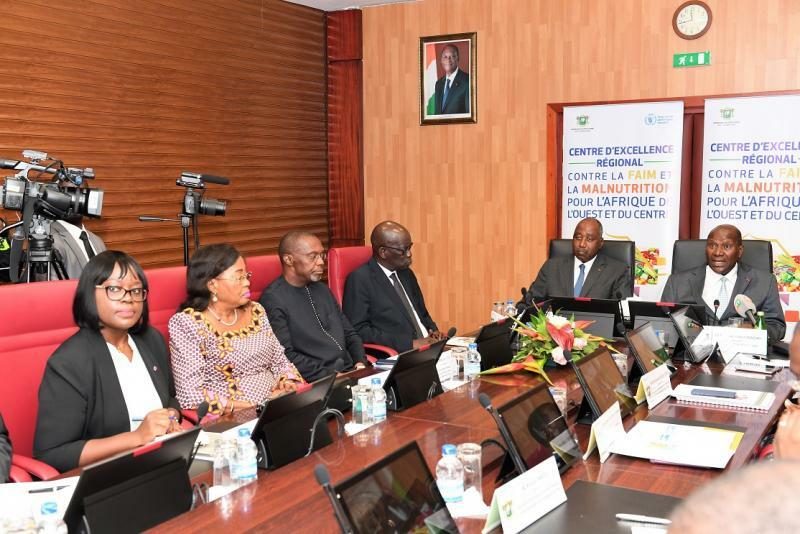 Côte d’Ivoire has legislation to support nutrition which includes marketing of breast-milk substitutes, maternal leave, campaigning against iodine deficiencies, fortification of oil and flour, school canteens. A number of sectoral policies have nutrition objectives (health, agriculture, social protection, education, environment). Côte d’Ivoire reaps the benefits of an awareness raising and communication strategy aimed at improving nutrition at the national level. Studies of policies, impact evaluations and follow-up reports have been carried out at the sectoral level, but these studies remain limited and have not yet any impact on nutrition. The National Multi-sectoral Nutrition Plan provides for the establishment of a validation committee which will approve research topics on nutrition and verify research results. Mainstreaming the 2016-2020 National Multi-Sectoral Plan for Nutrition (PNMN) into the 2016-2020 National Development Plan and the Public Investment Programme has facilitated a sense of ownership. Following an experience-sharing mission to Senegal, the PNMN decentralisation process commenced in priority regions in the north, with: the formalisation of the community approach; an organisational and institutional analysis of regional bodies and the establishment of committees; an action plan for the north, plus sub-prefectural plans. The process of establishing the national nutrition information platform (NPIN) is underway. The World Bank is contributing to indicators for the common results framework and strengthening the sectoral monitoring and evaluation mechanism. The 2016- 2020 National multisectoral nutrition plan (PNMN) was created based on the results of the situational analysis and through multisectoral consultations (sectors: agriculture, animal and fishery, water, sanitation, education, social protection and gender). In May 2016, it was validated by the Council of Ministers and then integrated into the National development plan 2016-2020 and the Public investment programme 2017-2020. Decentralization (North and North-east regions) of its implementation is currently in its early days, with ‘convergence communities’ being set up to enable coordination of the activities of the various relevant sectors. In September 2016, the ministers of the Decision-making committee signed a declaration in favour of stepping up the fight against malnutrition. The common results framework has just been finalised and costed. It includes all of the interventions which are nutrition-specific and nutrition-sensitive and have been identified collectively by the platform. Identification and definition of the roles and tasks of stakeholders and capacity-building interventions is underway. Implementation of the national nutrition policy and of the multi-sectoral plan. Alignment between the actions undertaken and the planned activities in these two documents. Centralization of actions conducted at the sectoral level. The national contribution covers 15 per cent of the global PNMN cost, whilst the UN and donors 85 has committed to 85 per cent. This was the subject of a donors’ roundtable on resource mobilisation in September 2016. The budget lines were allocated for direct interventions and for governance. The mainstreaming of the PNMN into the National Development Plan and the Public Investment Programme is facilitating financial tracking. The Action Plan for the North is costed at almost USD 18 million (10 billion francs CFA), with a little more than USD 3.5 million (2.3 billion francs CFA) funding gap. Advocacy is underway to mobilise both internal and external resources. The regional authorities have committed to financing the Plan. In 2015, the financing and operational capacities needed to implement the PNMN were determined in a national participative process, with the support of the World Bank. The government has committed to contributing financially to the tune of 15% of the overall cost of the PNMN, and budget lines have been allocated. The technical and financial partners (PTF) are engaged in the multisectoral approach though a number of projects. 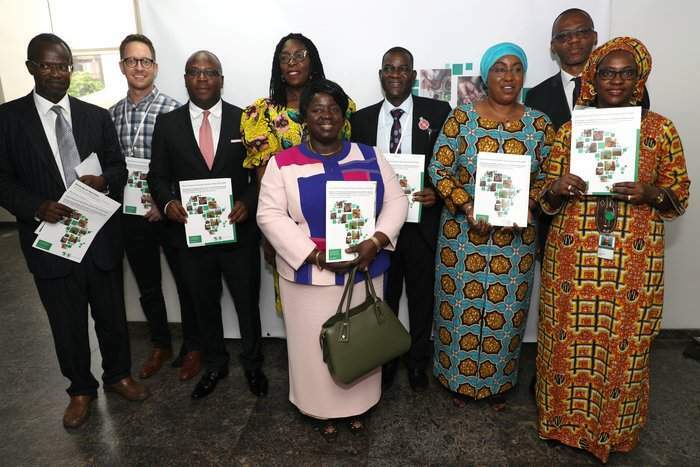 The mechanism for monitoring financial allocations will shortly be strengthened in order to improve the tracking of domestic expenditure and that of the PTF, corresponding to the resources mobilized at the round table for nutrition in September 2016. The list of current expenses exists, both for nutritionspecific and nutrition-sensitive interventions, and these are disaggregated by sector. The challenge is still to establish a uniform system for tracking allocations and expenses. Advocacy for the allocation of resources to nutrition related actions continues. A panel discussion for resource mobilisation is being organised and will be held by the end of the year. Identification of the financial coverage and reduction of the gaps in finance by mobilising additional resources (government and external resources), in particular to campaign for vitamin A supplements. Preparation of long-term financial strategies is underway. Several costed sectoral plans exist, both for implementing the common results framework and for improving financial capacities. The government will contribute to 15% of the total cost the National Multi-sectoral Nutrition Plan.